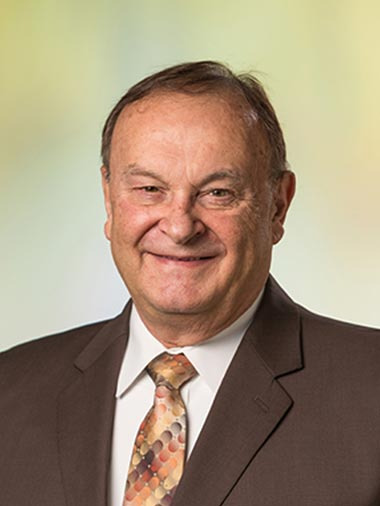 Dr. Darryl A. Beehler, 72, Detroit Lakes, MN passed away March 29, 2019 at his residence in Detroit Lakes surrounded by his loving family and under care of Hospice of the Red River Valley. Mass of Christian Burial will be held Tuesday, April 2 at 1pm in Holy Rosary Catholic Church, Detroit Lakes. Visitation will be held Monday, April 1 at David Donehower Funeral Home from 5pm-7pm with a 7pm Prayer Service. Visitation will also continue at the church one hour prior to Mass. Darryl Anthony Beehler was born November 6, 1946 in St. Cloud, MN on his mother's birthday, which he often said was the best birthday present she ever received. He grew up in Fairhaven, MN, and graduated high school in nearby Kimball, MN. He attended St. Cloud State University for seven years, where he excelled playing bass guitar at many rock & roll shows. After all his schooling, he wanted even more knowledge. Darryl then graduated medical school in Kirksville, MO as a Doctor of Osteopathy. He went on to become an amazing family physician, delivering most of the babies in his new home town of Sauk Centre, MN. He later became a dedicated and well-respected emergency medicine physician. He met Mary, his wife, while working in Sauk Centre and they spent 37 years with each other. They enjoyed numerous activities together including stained glass, Costco shopping and Darryl even became her meticulous sous chef. He prided himself in his vegetable slicing skills. Together they raised four kids, Jessica, Jay, Amanda and Elise and their journey brought them to Arizona and eventually back to Detroit Lakes. Three of his four kids remain in Detroit Lakes and that was always a big point of pride for Darryl. Their fourth child lives in sunny Arizona, which Darryl and Mary gladly visited several times a year. He became president of the American Osteopathic Association in 2003 and was able to travel the world fulfilling his duties in places such as Ireland, Hawaii & Switzerland. He continued to work as an Emergency medicine physician in Park Rapids before eventually moving over to Detroit Lakes. His profession as a physician touched many lives, not only his patients, but co-workers as well, as he loved to teach and mentor to those around him. One of his greatest joys, besides Fox News, was his cabin on Buffalo Lake and when he wasn't working, or doing any sort of home improvement project, he loved spending time at the cabin watching the sun rise over the lake. He created such a fun, loving environment that his family also loved to congregate up at the lake all summer long, despite the limited space. Everyone enjoyed Darryl's hospitality and vitality for life, and he will be greatly missed. He is survived by his wife Mary, daughter Jessica (Jon), son Jay (Leah), daughter Amanda (Mike) and daughter Elise as well as eight grandchildren (Adam, Zach, Macey, Griffin, Bennett, Addisyn, Asher & Lauren) and two brothers (Bryant and Louis) and three sisters (Jaynie, Cherry, Reyne). Darryl joins his father and mother and daughter Tara.